Los Angeles motor show | What Car? 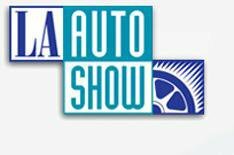 Welcome to Whatcar.com's Los Angeles motor show report, which brings you the highlights of one of America's biggest car shows. There's a fascinating mix of new cars on display, none more so than the Mini E electric car that we've been able to sample. You can both read our thoughts on it and watch our test on video. Nissan has wowed the crowds with launches of two completely different cars, the quirky Cube supermini and the stunning 370Z coupe. Throw in the new Porsche Boxster and Cayman models, plus the world debut of the Mazda 3 saloon, Lexus 450h and Infiniti G37 convertible and you have a taste of some of the exciting machinery in this report.